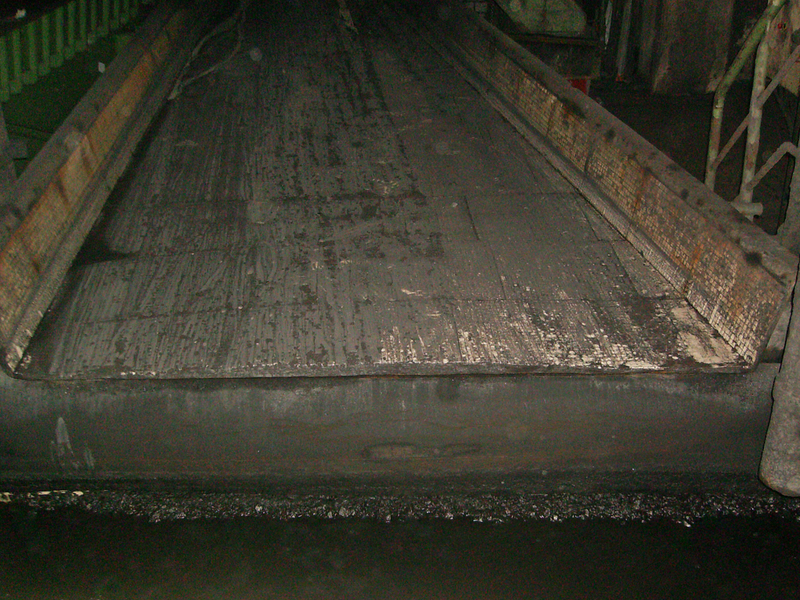 SIEBTECHNIK channel conveyors are used for the transport of grainy bulk goods. Drive is provided either by double unbalance gear units (type FG, FG-C) or unbalance motors (type FR, FR-C). 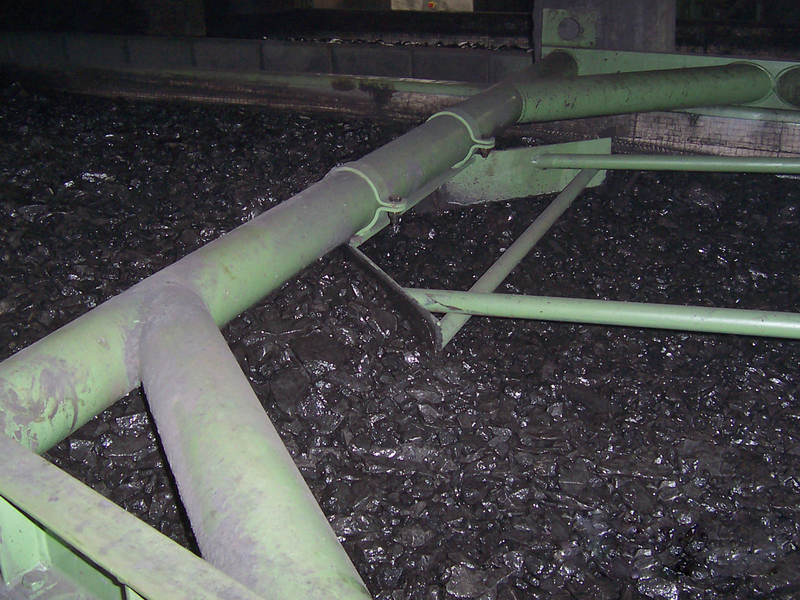 We build channel conveyors with top- or bottom-mounted drive units for extreme size requirements. The transport of coarse-grained or very hot feed material or the even loading of a downstream screening machine with feed material is nothing to these vibrating machines. Different sizes of double unbalance gear units enable outstanding setting-up for your specific application. The balance masses and speeds can be adjusted in stages, enabling the vibration amplitude and acceleration of the machine to be optimally adapted to suit the specific project requirements. Our SIEBTECHNIK double unbalance gear units are fast and easy to install and offer high channel conveyor availability. We recommend this drive concept for e.g. 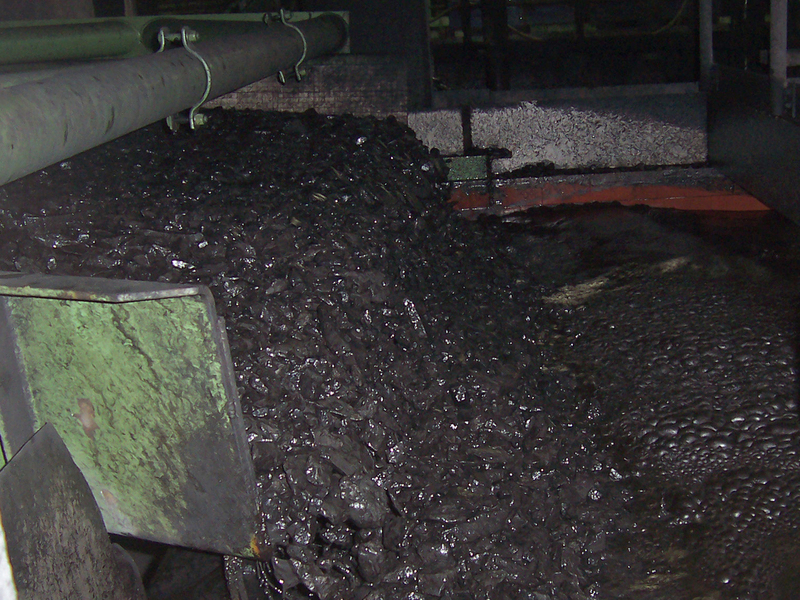 product distributor channels that load downstream screening machines evenly with feed material or with discharge channels for coarse-grained material from material bunkers in e.g. pre-crushing systems. An economical alternative to a drive with double unbalance gear units is a drive with two unbalance motors – specifically for channel conveyors with small nominal widths. Two unbalance motors are driven in opposite directions, as a result of which the resulting motion of the vibrating machine is also a linear one. These largely smaller vibrating machines are used for e.g. transport of sand, gravel, ore and slag or in recycling. 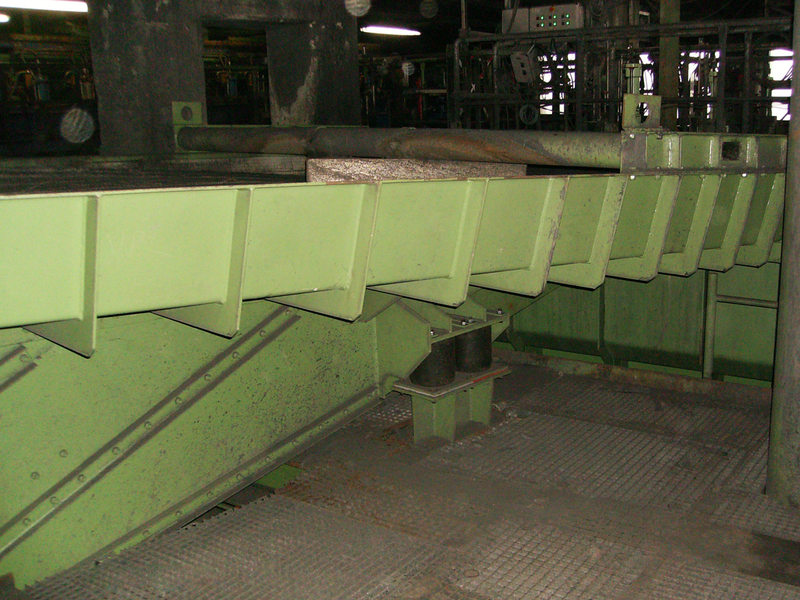 SIEBTECHNIK channel conveyors are freely vibrating machines, that is, the vibration amplitude adjusts itself freely to suit the mass ratio of channel box and unbalance mass. Linear-motion channel conveyors are designed with a selectable throw angle and are therefore flexible with regard to the tilt of the conveyor trough, which ranges from horizontal through to steeply tilted. Our FG (double unbalance gear unit) and FR (unbalance motors) series channel conveyors transport almost any material and come with a conveyor trough having a maximum usable width of 5500 mm. Speed and vibration amplitude of the linear-motion channel conveyors can be adapted to suit the specific product in order to minimise wear and optimise the distribution of the material transported. The channel box, consisting of side walls, cross-members and conveyor trough, can withstand all static and dynamic forces. The vibration generating system is not arranged at the centre of gravity of the vibrating machine; instead double unbalance gear units or unbalance motors are mounted on a drive bridge. The important thing is that the resulting force direction runs through the centre of gravity of the entire vibrating machine . Linear-motion channel conveyors are driven by a V-belt drive with intermediate transmission or by a direct drive through a universal joint shaft. Double unbalance gear units have an oil filling. Unbalance motors are grease-lubricated for life. The entire vibrating machine is elastically supported against the substructure on spring elements. Here various systems of spiral compression springs, rubber buffers, vibration elements or air bellows are possible and, if necessary, combinable (hybrid suspension). 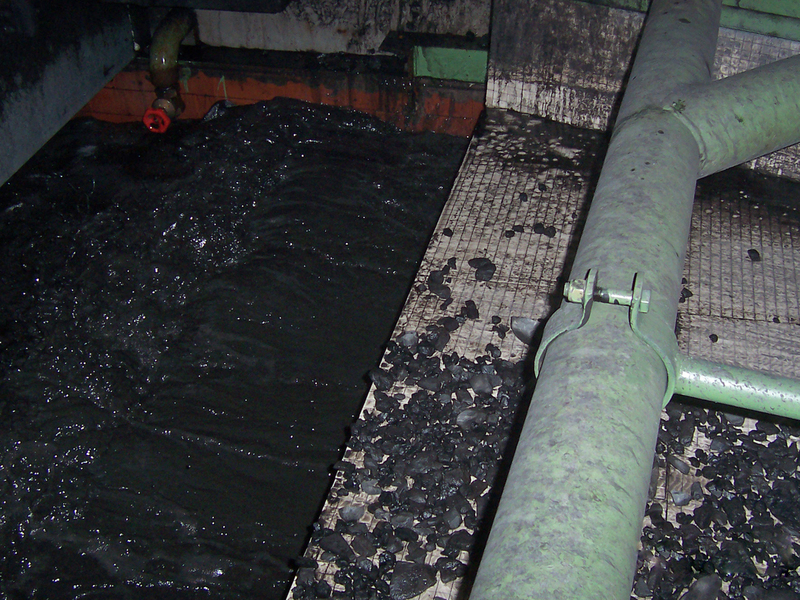 For dusty screening material we can, if required, supply channel conveyors with a dust cover. For hopper discharge channels hopper valve shoes, needle slide gates or suspensions can be supplied too. A comprehensive range of accessories is available for all SIEBTECHNIK channel conveyors. Whether it’s wear protection, counter-vibration frames, air suspension, dust covers, drive consoles, double unbalance gear units, hybrid suspension, unbalance motors or customer-specific special designs – with its decades of experience SIEBTECHNIK achieves the best result for your requirement.